We provide researchers and scientists with the right tools to actively shape their own careers. Experts and peers from all areas of the German and North American research landscapes offer support and provide valuable insights and best practices. 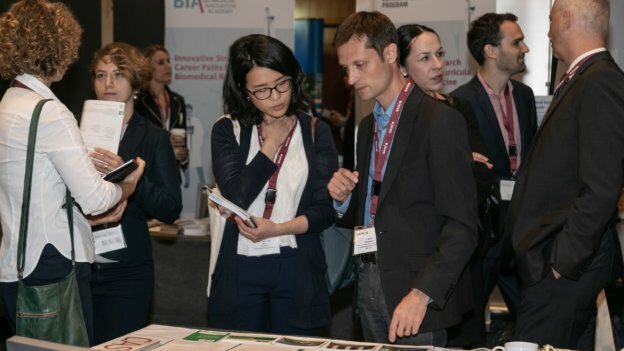 Our flagship event is the annual meeting, held alternately in San Francisco and Boston with representatives from science, research, business and politics. At the local level, our members can participate in events such as trade fairs and workshops. Below, you find a list of events GAIN organizes or participates in. Join your local GAIN CHAPTER: The chapters provide the opportunity to connect with fellow scientists, to exchange experiences and ideas, and to lend support to each other. Find your local chapter here.